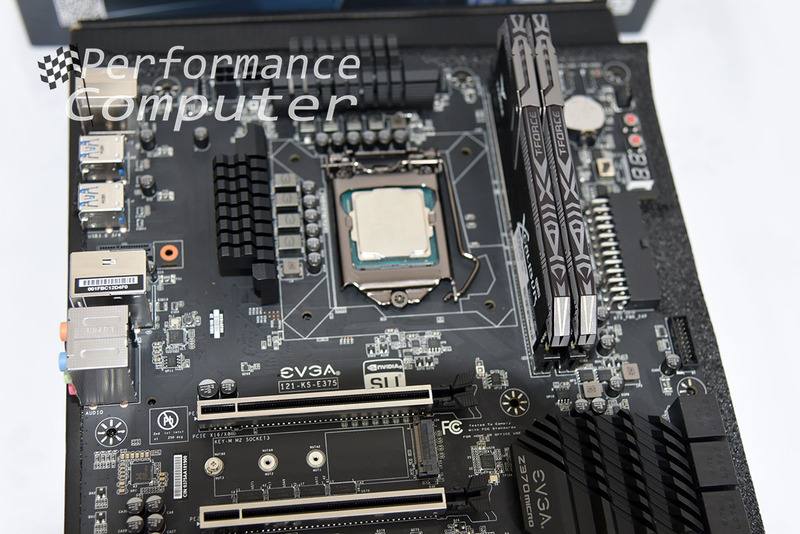 EVGA sent us their Z370 Micro ATX motherboard for review and we featured it in our In Win 301 mATX Monster build guide. 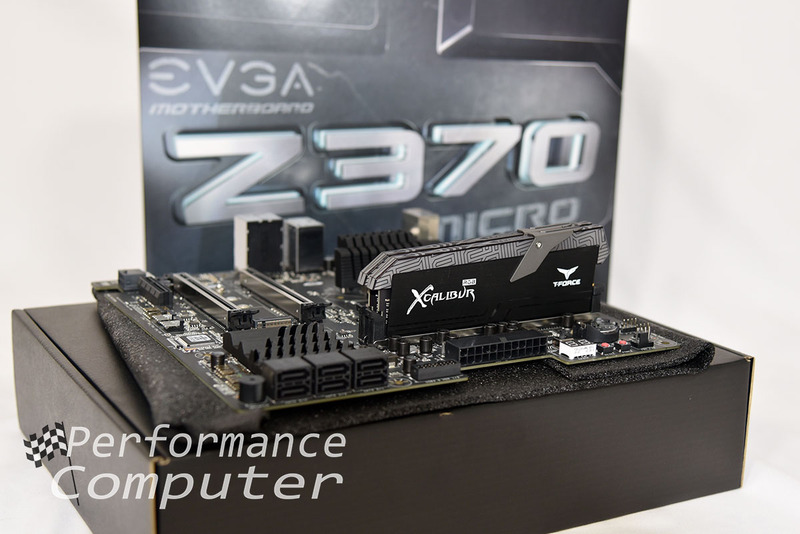 Just like their Z370 Classified K, the Z370 Micro ATX is very unassuming from a distance, however it contains nearly all the features that extreme overclockers demand on ATX boards such as an 11 Phase VRM, onboard power and reset buttons, 6-layer PCB and a full UEFI GUI BIOS in a smaller package. It’s got the features, but does it deliver? Let’s find out! 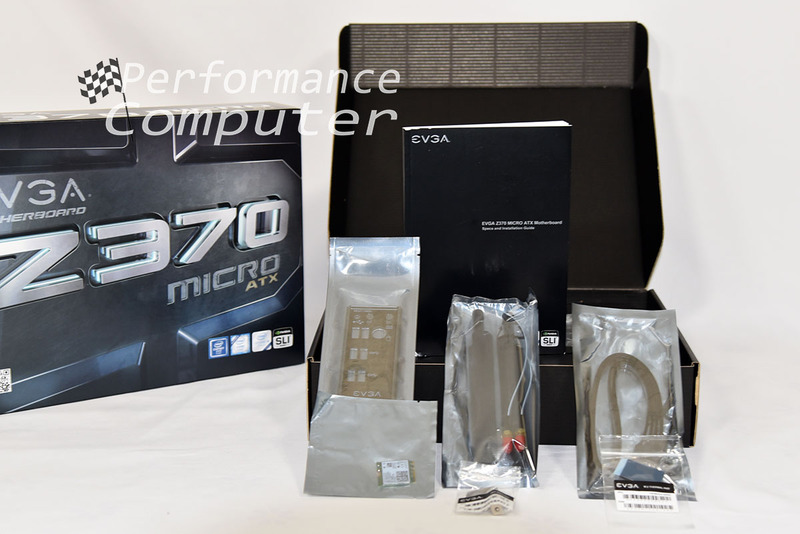 Starting with the outside of the box, EVGA’s logo and Z370 Micro ATX motherboard branding are present on the front. Also seen are the Intel Z370 Chipset, Supports Core Inside and Optane Memory Ready badges along with Nvidia’s SLI Ready badge. 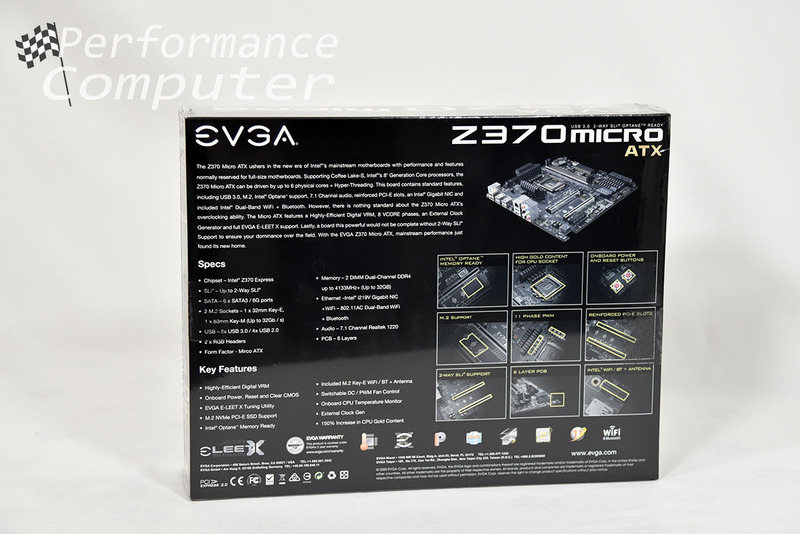 The back of the box shows off some of the Z370 Micro ATX’s key features including the aforementioned Intel Optane memory support as well as onboard power and reset buttons, reinforced PCIe slots and M.2 support. There is also a short description above the specs and key features sections. The board itself maintains the same black and silver color scheme as the Z370 Classified K and Z370 FTW. It’s a classy color combo that will look great with nearly every build! The extra thick 6-layer PCB is noticeable and adds a level of quality that you can truly appreciate, especially if you’ve ever built a system with a cheap, low quality motherboard. Moving to the PCIe slots, as with the Z390 Classified K, they are shielded and they look stellar! There is also one M.2 slot for PCIe based SSD storage. I would have liked to have seen two as with the Classified K but when downsizing I understand that compromises are made. A very clever design aspect of this motherboard is that the front panel headers, along with the lower fan headers, USB 2.0 and HD audio headers are all pointed downwards. This makes cable management easier when routing those cables in the tight spaces that are all too common in smaller enclosures. The 24-pin connector is folded down the same way and again allows for cleaner looking cabling throughout your build. Six PWM fan headers is a blessing for some ATX sized motherboards but for a micro ATX board to have as many shows that EVGA built this board with water cooling and extreme overclocking in mind. Such builds usually require the use of many fans as well as water cooling pumps, all of which will need a header. There are also six SATA connectors which old school storage advocates will love. As with 3.5” hard drives, I personally can’t wait until the SATA standard is retired and that space can be better utilized for additional fan headers, USB headers, etc. SLI is an option here with the two PCIe slots in which case both cards will run at x8, otherwise single GPU systems will run in the regular x16 mode. One thing to note is the lack of onboard video on this board, meaning you will need to pair a graphics card with it. 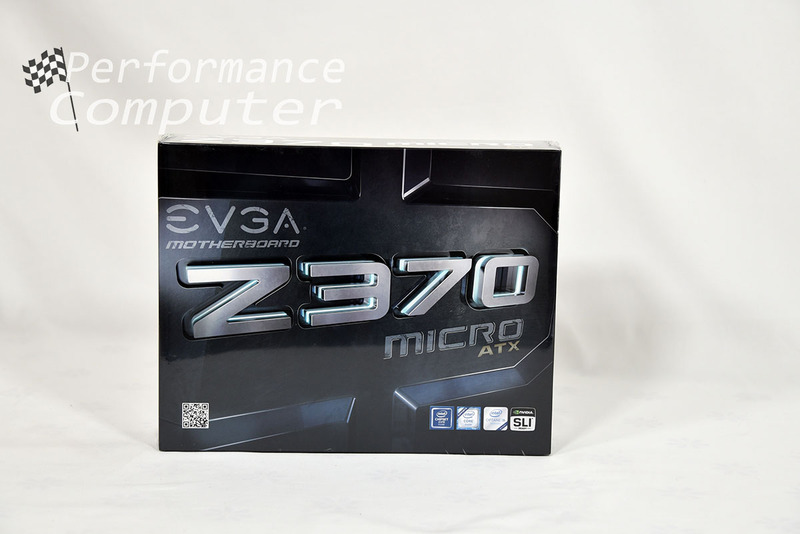 This shouldn’t matter to the overclockers considering the EVGA Z370 Micro ATX as they typically don’t build computers without GPUs anyway. Other than that, the rear I/O has plenty of USB ports and even a PS/2 keyboard/mouse port should you require it. The Z370 Micro ATX has a switchable BIOS with two BIOS chips. This is especially helpful if you’re using this board on a test bench or rotate your components often. Onboard WiFi is present in the form of the included Intel 802.11AC WiFi + BT card which includes an external antenna. As mATX cases become smaller and smaller, they are viable portable computing solutions and onboard WiFi certainly helps in that department especially if you’re running an SLI setup and don’t have any free PCIe slots to occupy with a WiFi card. 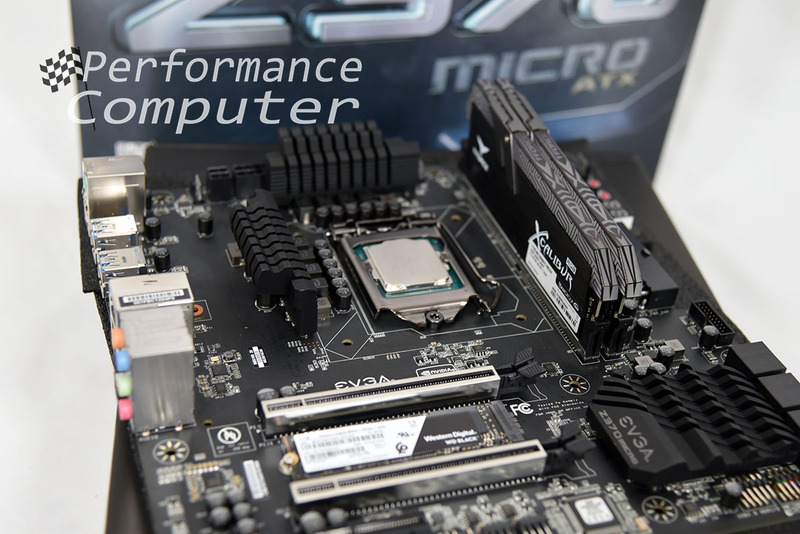 As with the Z370 Classified K, there are supplemental CPU and PCIe power connectors. 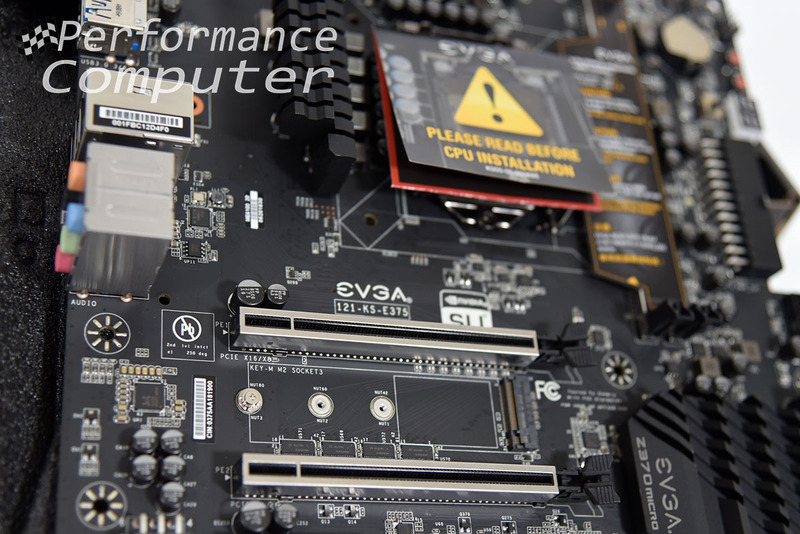 Clean, efficient and stable power are critical requirements for effective overclocking and EVGA ensures you have them on their motherboards. 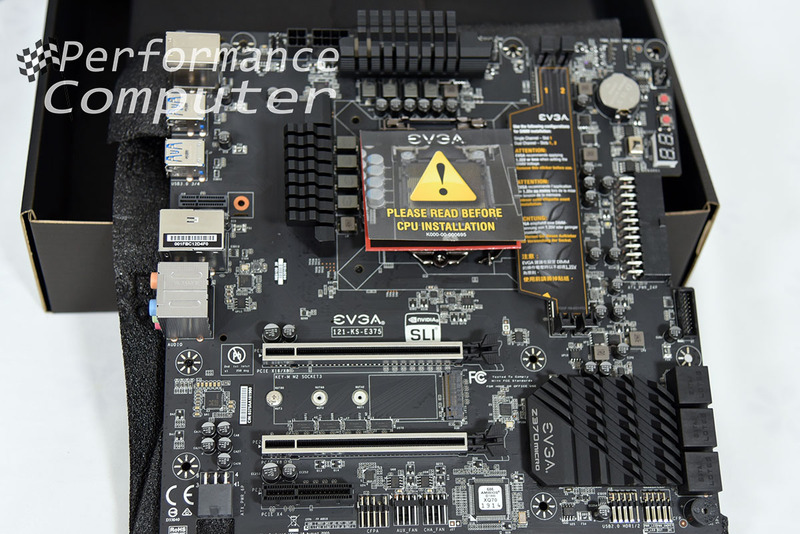 The additional PCIe power connector located in the bottom left hand corner of the board is an interesting and unique addition as well. 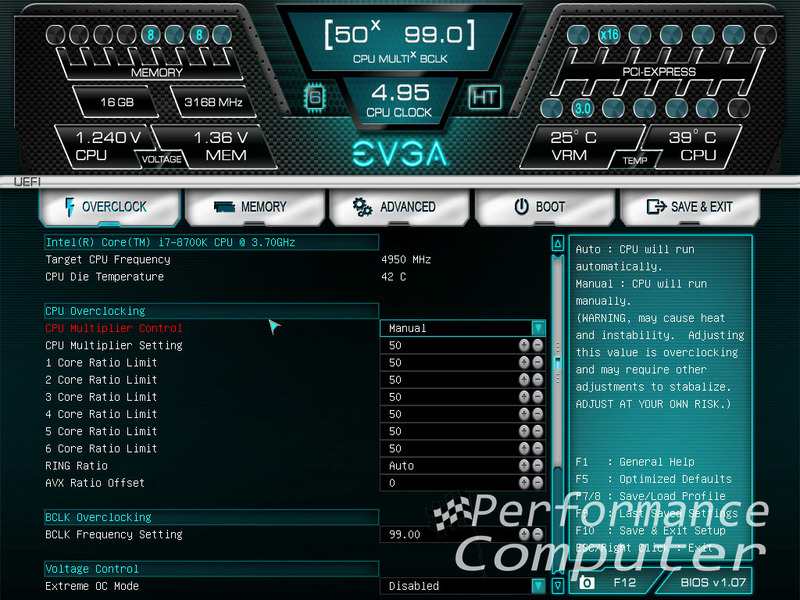 Being an SLI capable board, the additional power is welcome for GPU overclocking that can be directed towards a multitude of uses including cryptocurrency mining. The BIOS is just like the Z370 Classified K’s. It’s extremely easy to use, even for the most inexperienced builders. A full UEFI GUI based bios means no more keyboard-based navigation. 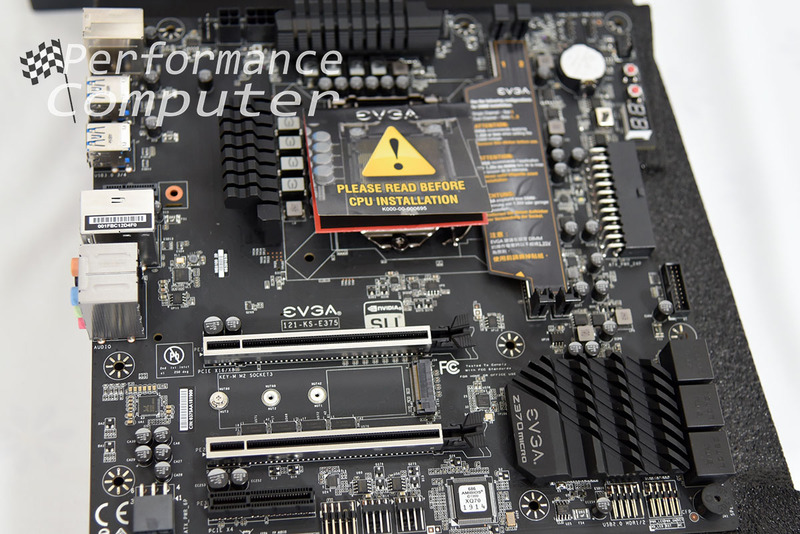 Overclocking, setting up RAID configurations, and updating are just a few clicks away. We were able to achieve a stable, steady 4.8GHz overclock on our i7-8700K. We did achieve 5.0GHz on this board and experienced no problems. However, our 8700K is non-delidded and tends to run uncomfortably hot at such frequencies. 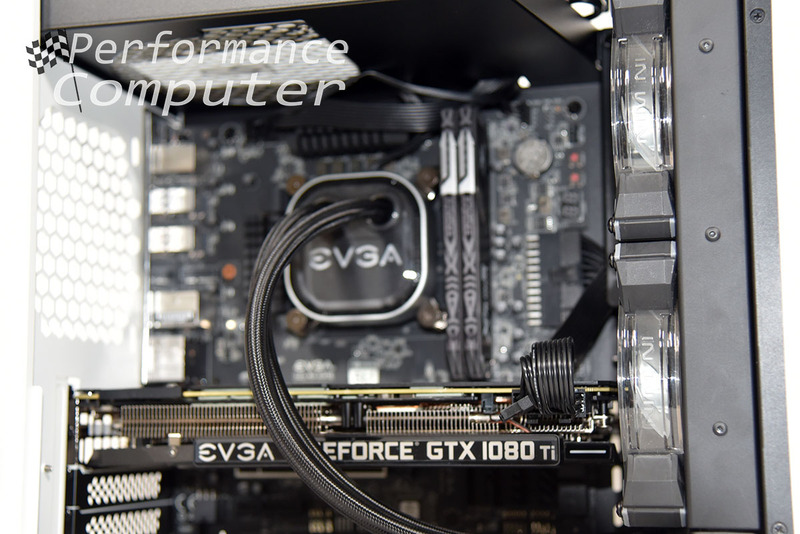 The EVGA Z370 Micro ATX is among the best options for those searching for a motherboard that is overclocking friendly, has support for SLI and is in the somewhat rare Micro ATX form factor. 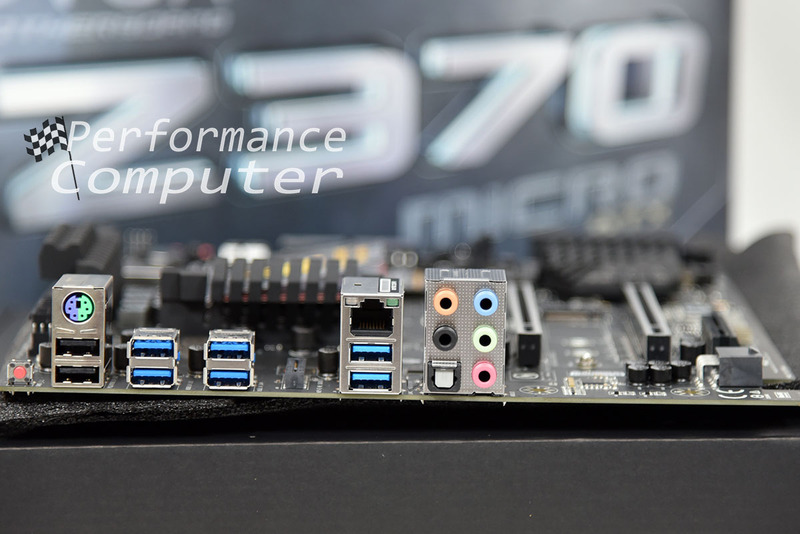 The Z370 Micro ATX is most certainly capable of delivering the same performance you would expect on a high-end ATX size board with few, if any compromises. 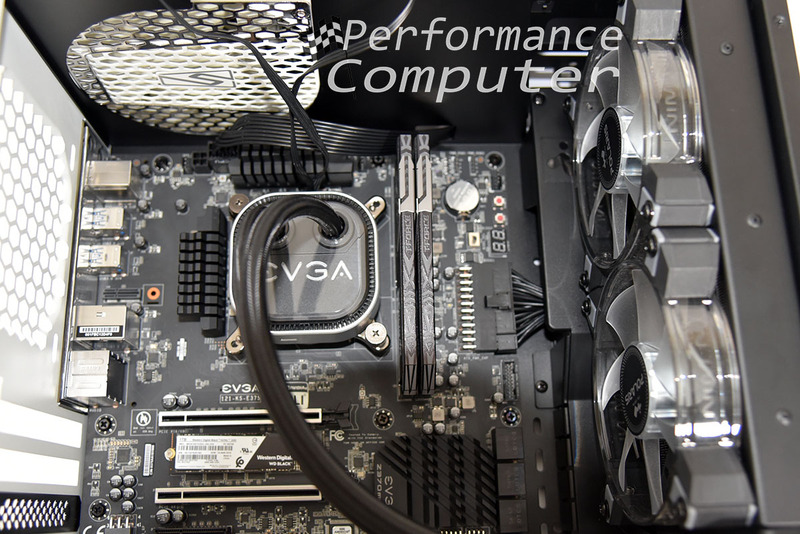 Onboard WiFi is a very useful addition to an already impressive motherboard and its overclocking centric features make the EVGA Z370 Micro ATX a great purchase. We highly recommend it!